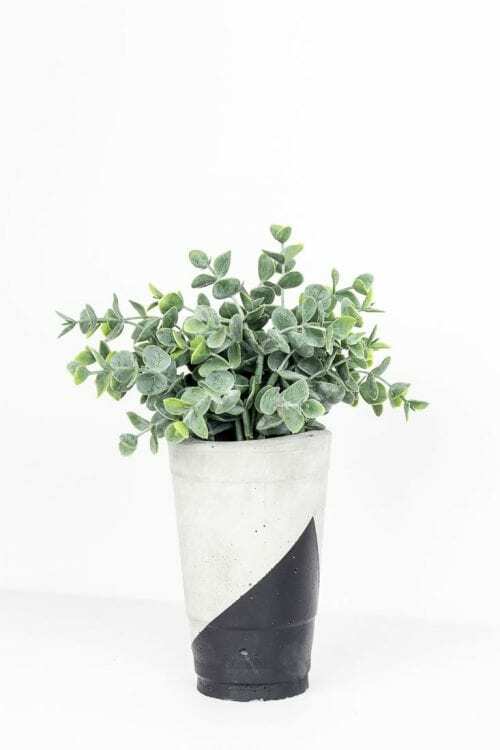 Check out this simple concrete vase to fit your style. 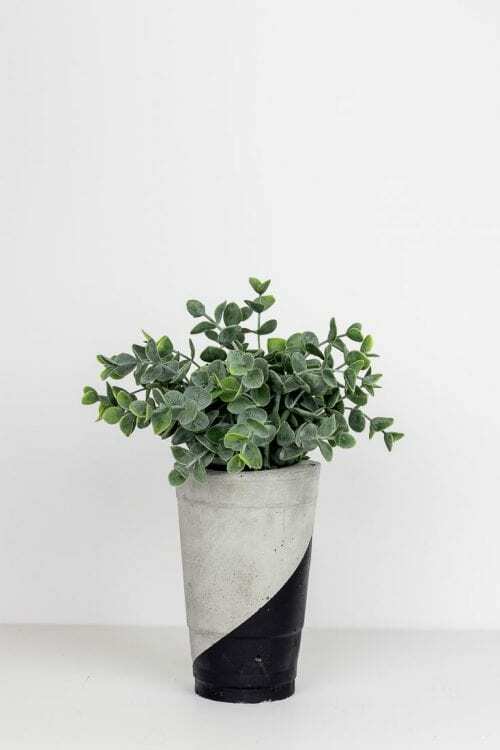 This geometric cement vase is super easy to DIY! 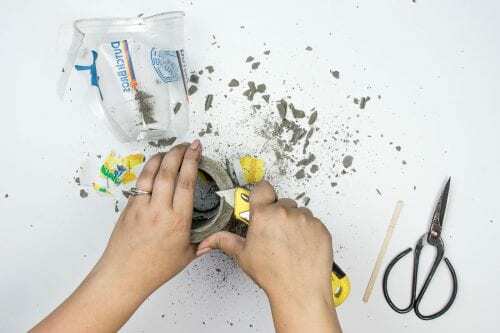 When I made our cement candle holders, I knew I wanted to make some more fun projects with cement. 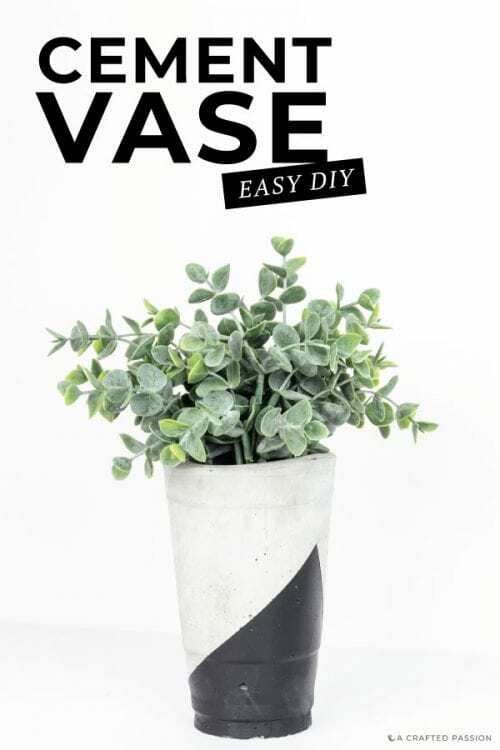 Well, today I’m excited to show you this super easy concrete vase. 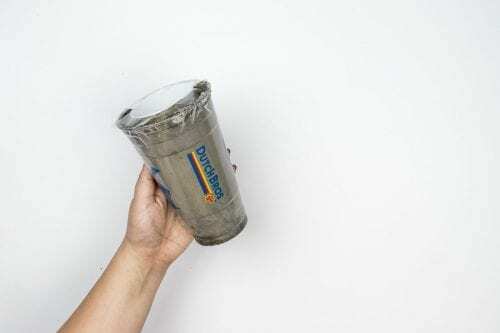 Mix cement in a large plastic cup until it’s the right consistency and filled about 2” from the top. Paint stirring sticks work really well for mixing cement! 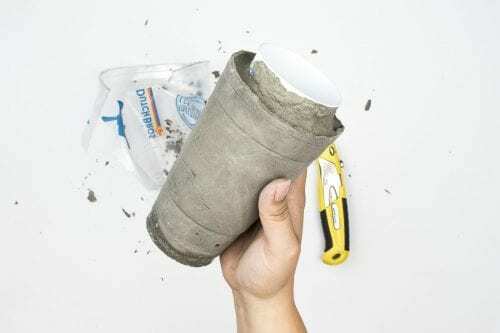 Strongly tap the cup with cement on a flat surface to get rid of any air bubbles. 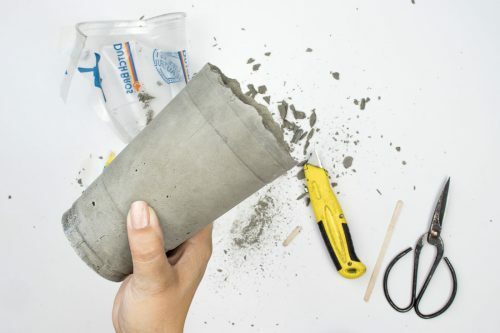 Push a small plastic cup into the center of the cement mixture until it’s level with the large cup. Tap the cup down again to get out as many air pockets as possible. Related: Want a modern home on a budget? Grab this FREE guide! 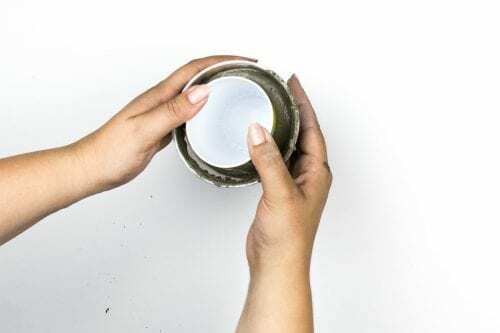 Tape over the top of the cups to hold the smaller cup in the cement mixture or place a heavy object on top to hold it down. Let it dry at least 24 hours. Now comes the time to remove the mold. Use a utility knife to cut off the plastic cup, if needed. Trim the rough cement around the top using the utility knife and smooth out the edge using sandpaper. Once it’s cleaned up, tape off a design and paint it. After it’s dry, remove the tape and enjoy. I love how this vase turned out and was such a simple DIY project! Projects don’t have to take hours or take lots of supplies. If you love this project, be sure to check out all the projects in the Naptime Craft Time series.